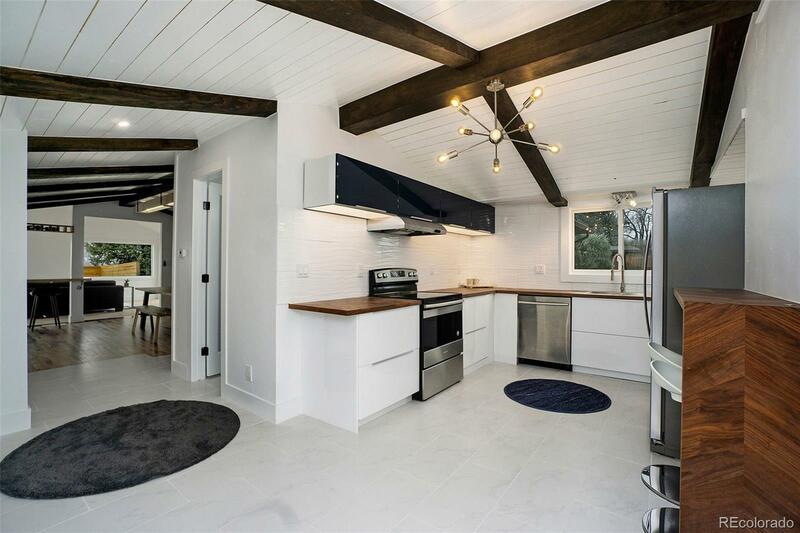 Striking Mid-mod home completely renovated and updated in the highly desirable Inspiration Point neighborhood. Nearly everything is new including windows, doors, siding, electrical, appliances and the super hip kitchen. The refinished hardwood floors are one of the few original aspects adding to the character of the home. The home is situated on the oversized lot with great curb appeal plus takes full advantage of the sweeping, unobstructed mountain views and ample yard space that feels secluded. Everyone loves Inspiration Point for its proximity to downtown, easy access to I-70 and I-76 and close-by shopping. The home backs to Clear Creek trail and is minutes to incredibly popular Tennyson Street. You wonât find another home like this in the area!